​QUESTION: Hey, Sally, you mentioned there are certain things that people should definitely do after being in a traffic accident and other things they should definitely not do. In terms of things people should NOT do, what are some of those things? ​SALLY'S RESPONSE: If somebody gets in a bicycle, motorcycle, pedestrian or auto accident, including Uber accidents, here are some of the things they should absolutely NOT do. ​​​Leave the scene of the accident without gathering information. Do not leave the scene of the accident without gathering as much information as you can. I know a lot of times people are embarrassed and in shock when an accident happens. They are tempted to just shake it off and be, “I’ll be alright. I’ll be alright.” They want to just go home and sleep it off but it’s too late. If you go home immediately after your accident, you haven’t gotten the other party’s information and you may be totally out of luck in getting compensation for your personal injuries. If you can... take a photo of the person who hit you's license plate, get their driver’s license and insurance information. Also, if there is anybody who saw the accident, have them call your cellphone so you have their number. Get their contact information because what may seem really straightforward and clear to you at the time like, “Yeah, that guy cut me off and it was his fault,” may not be clear later on. They may try to dispute the accident. Their insurance may not want to cover it. You’re not always thinking straight immediately after you are hit by a car, but you definitely do not want to walk away from the scene of the accident without getting as much information about the other party, witnesses, and the police before you do so. Refuse medical treatment at the scene of the accident. ​Another thing you don’t necessarily want to do if you are involved in a personal injury accident is refuse medical treatment at the scene of the accident. I have a lot of clients who do that. The reason is because they’re afraid of medical bills, especially when it involves an ambulance ride to the emergency room. Who the hell wants to pay thousands upon thousands of dollars of medical bills? The fact of the matter is that if you refuse medical treatment, you may be really injured but you may not realize it because you are in shock. You think, “I’m okay. I can handle this.” But, later on you find out you’re really injured but the insurance company will try to say that, “You seemed fine at the scene of the accident because you told the ambulance personnel you didn’t want their help and you refused medical treatment.” That can really weigh against you and decrease the value of your personal injury case. I understand there’s a big difference between getting the necessary treatment and blowing your injuries out of proportion. That’s not something I would ever encourage anyone to do. I’m just saying that if you’ve been, especially if you’re a bicycle, a motorcycle, or a pedestrian, you’ve been hit by a freaking car; you want to get checked out by a medical professional. There’s a high probability you’ve got something broken and you want to get that checked out. ​QUESTION: How often do people follow these steps when a personal injury accident happens? Do you have clients who they take a photo of the license, get the insurance information and get witnesses’ cellphone numbers and do all the other things you recommend after a traffic accident? ​​SALLY'S RESPONSE: Of course not. Not everybody does that. Usually if someone is in an accident they are stressed out, seriously injured and in shock. ​I’ve got clients from all over the spectrum. I’ve got clients who don’t get any information at all and they don’t even get the right medical treatment right away, but they are still badly injured. Even then, we have the resources and skills to investigate and build the case to the point where we can get the information we need to bring a viable personal injury case and get our client reasonable compensation for their injuries. Also, I’ve got clients who are super-efficient and on top of things. They gather information at the scene, they've got witnesses lined up and they already have the police report when they first talk to us. They even took the ambulance to the ER to make sure they received the proper medical treatment and documented their injuries. That’s an ideal situation, but it’s not common. People aren’t usually thinking straight when they are the victim of a traffic accident. That is where having a good personal injury attorney comes in handy! Delay in getting medical treatment. ​Even though the ambulance personnel may check you out at the scene and let you go and say, “Check in with your doctor.” If you fail to do that (like it takes you three months to get to your doctor) then that’s going to just totally destroy the value of your case. If you don’t think your injuries are serious enough to follow up with your own doctor immediately after the accident then the insurance company’s not going to take your injuries serious either. They’re not going to value the case very highly and you are not going to get a solid settlement. You must get the appropriate treatment, document your injuries and stay consistent with your doctor's orders for rehabilitative treatment of your injuries. ​QUESTION: Where are people getting education about how to handle themselves after being in a traffic accident? You don’t think it’s from them reading personal injury attorney blogs or something, do you? ​​SALLY'S RESPONSE: Haha. I certainly doubt it. Sometimes it comes down to just the personality of the person who gets hurt. Sometimes people are very trusting and they believe that the police will take down all the information and everything will work out perfectly. There are also people who are a more little skeptical about what the police might do or how thoroughly they might (or might not) conduct the investigation. These people take it upon themselves to find witnesses and do some of the investigating, just by the nature of their personality. ​Do NOT give a recorded statement to the insurance company for the person who caused your accident. https://www.sallymorinlaw.com/personal-injury/articles/personal-injury-cases-why-insurance-carriers-deny-liability-after-the-fact/Also, I think some people have a general understanding that we live in a society where traffic accidents are governed by an insurance system. Most Americans understand that if someone hurts you by accident, they likely carry liability insurance to pay for your medical bills, pain, financial losses and the inconvenience you suffer. They know that this process exists and they need to “play the game” that the process entails. Part of this game includes gathering information to build a claim and submitting it to an insurance company to get covered. Even though many people think, “Oh, everybody should just take care of themselves. “ That’s not the type of system we live in. I know if you live in the third world and you get hit by a car, you’re probably on your own because that person doesn’t carry insurance. You might get a bouquet of flowers or a home-cooked meal, which is great, but you won’t be getting your medical bills paid or you lost work paid for. I know many other countries have governmental benefits that can pay for these other elements of damages, but we don’t have those in the US. This is the system that we have. You can’t poo-poo it and say, “Everybody is always claiming somebody else is at fault for stuff.” Well, that’s because as responsible adults, we are supposed to carry insurance and that pays for the mistakes we make. Even though we live in an insurance-based system, the use of a qualified personal injury lawyer is often the only way to safely navigate the system. 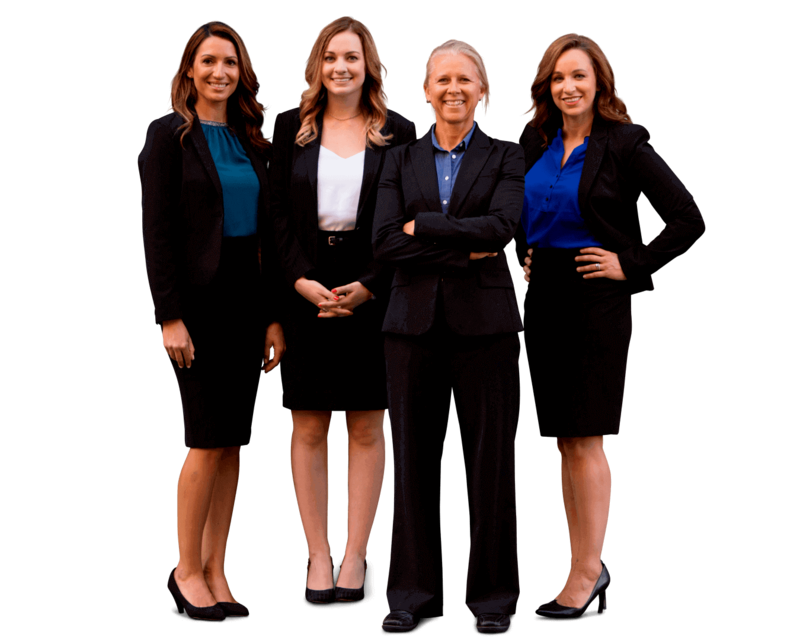 If you or someone you care about needs help with a serious traffic accident, reach out to our personal injury attorney team get a FREE case evaluation online now to see if we can help. We have earned a perfect five star rating on Yelp representing various types of vehicle accident clients all over California.